Affordable Pools uses the highest quality materials and craftsmanship and all of our pool decks. 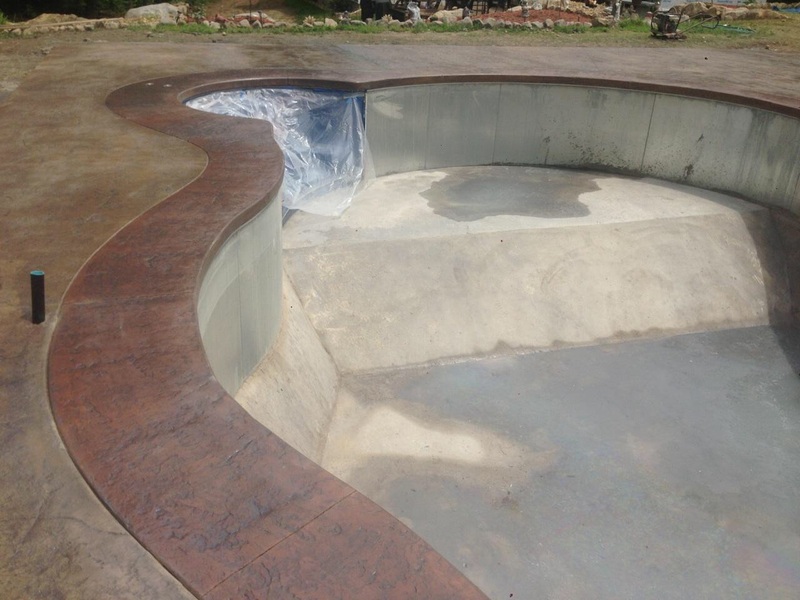 Affordable Pools has over 40 different stamp patterns available with over 300 color combinations giving you a very wide choice of different types of stamped concrete for your swimming pool deck. Cost: Usually priced between $12-$16/square foot depending on the pattern and color(s). Many stamp patterns are available. Seamless stone, slate, and flagstone are some of the most popular. Wide variety of colors to choose from. Stamped concrete is often composed of at least two colors; a base color that is mixed in the concrete or trowelled into the surface, and a second color called a release agent that is broadcasted on top of the concrete just before stamping. The relationship of these two colors is what gives stamped concrete it’s unique antiqued look. It can mimic other materials such as slate, flagstone, brick, or even wood for a fraction of the cost of the natural material. 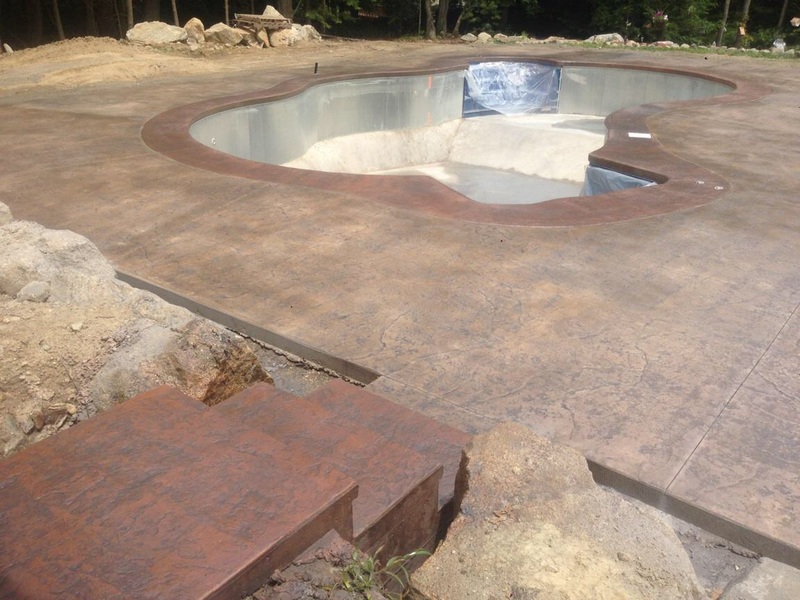 Stamped concrete is sealed which protects it from the elements as well as pool chemicals like salt from salt water pools. It’s concrete so it will crack. Two guarantees on concrete: it will crack, and no one will steal it without you knowing about it. The contractor’s job is to place control joints to cause the concrete to crack where they want it too….but sometimes concrete cracks where it wants to. The only way to guarantee no crack is to get no concrete! If more than one truck load of concrete is required there is no guarantee that the colors of the two trucks will match perfectly. The sealer needs to be re-applied every 2 to 3 years. The surface can be somewhat slippery without the addition of an anti-skid agent mixed in with the sealer (and it should be). Contact Affordable Pools Today to Set Up a Free Estimate for your Stamped Pool Deck.